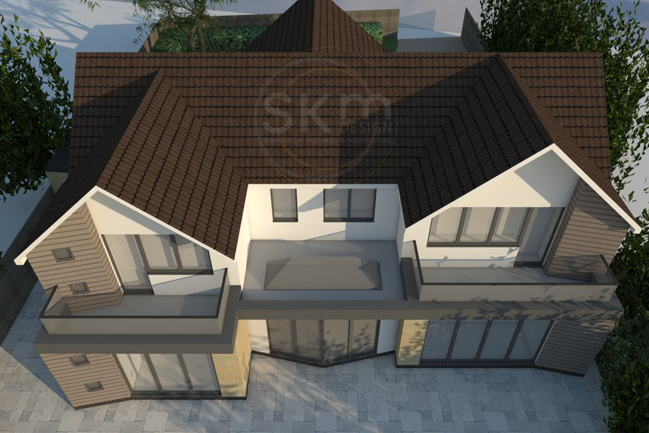 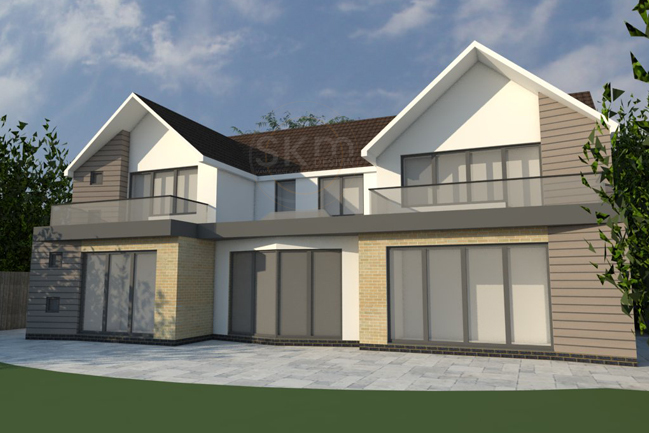 An extension to the front and rear of a property, trying something a little different with materials and mass to create a blend of traditional and contemporary. 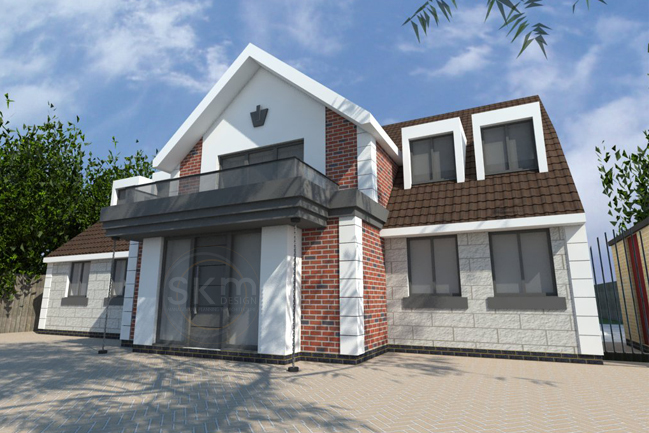 Two versions are shown here to demonstrate our exploration of materials. 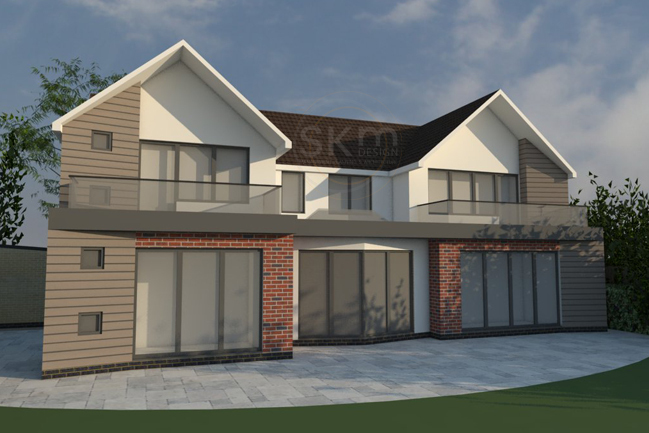 An interesting feature on this design are the rain chains at the front below the balcony (rather than pillars or posts) which help to set this property apart.